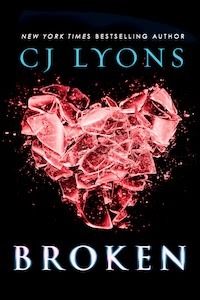 Broken by CJ Lyons Blog Tour Stop! ~ Love.Life.Read. Reviewed from: an ARC provided by Sourcebooks Fire--thank you so much! Scarlet wants to be like very other high school student but unlike most, she has been diagnosed with Long QT Syndrome, a heart condition that prevents her from doing the things most of us take for granted everyday. Having asked to attend high school for just one week, Scarlet enters high school, defibrillator stashed in her backpack, to experience it all. During her time, she experiences being bullied, forms a crush and strong friendships. While all those are fairly typical of a high school experience, what Scarlet also finds out is she is stronger than she thinks and will need to call upon that strength to right the wrongs she discovers--no matter how painful it will be to her and her family. Broken is a wonderful addition to your fall reading list. Despite not knowing about Long QT prior to reading, I did not feel that I was bogged down in the details of it. Scarlet is a fantastic and believable character as I think we have all felt like a duck out of water at some point in our life. With thrillers, the pacing is crucial to setting the book's tone and reader's stamina and Broken is flawless. It builds to the point where the reader is on the edge of their seat frantically reading to see if they have solved the mysteries within the story. Whether or not you guess the ending correctly (because that is half the fun), Broken wraps up in a way that left me satisfied. Broken is a title that should be on your reading list this fall! The medical thriller avenue in young adult literature is not one that has many to choose from so this is a refreshing change of pace. Even if this is not your normal genre, I encourage you to give it a chance--this book has something for everyone. Q1: You come from an adult thriller background—what made you try your hand at a YA title? CJ: I’ve always loved reading YA and everyone kept telling me that as a pediatrician, I should write it. But honestly, I never found a story that I thought was worthy of my kids—my patients—until BROKEN. Writing for kids is tons tougher than writing for adults. Most grownups read for entertainment, but kids read for so much more. They want to vicariously experience the world and the choices they’ll be expected to make as adults as well as learn who they are and how they can fit into that larger universe once they’re the ones in charge. Funny thing is, once I began BROKEN and found my YA voice (very different than my adult thrillers’ narrative voice), I realized I could be much more emotionally honest than with my adult work—which also meant I could tell edgier stories. After finishing BROKEN, I now have ideas for more YA thrillers and can’t wait to write them! Q2: Did you find it the same process to write a young adult title as oppose to the adult titles you have written in the past? CJ: Unlike my adult thrillers, I actually find that I can go deeper and darker emotionally with YA, which is a lot of fun—just goes to show that you can still have the thriller pacing and adrenalin rush without it all being car chases and explosions. Q3: With Broken being a departure from what has been hitting the shelves in the YA market recently, what would you say to potential readers to give your book a chance? CJ: To me, the fact that it is different from most YAs out there makes it more appealing—I don’t know about other readers, but I hate reading the same-ole-same-ole, love the idea of picking up a new author and discovering a whole new twist on story-telling. Also, it’s pretty cool that Scarlet’s character is loosely based on my own experiences as a pediatrician. I diagnosed my niece, Abby, with the same congenital heart condition, Long QT, when Abby was only twenty minutes old and BROKEN is dedicated to her. Watching my niece refuse to allow her disease to define her was such a contrast to some other patients’ parents who would insist on making their child’s disease (most not life-threatening) the center of the child’s world that I couldn’t help but wonder what would it be like to grow up being treated as a “patient” all your life, or worse as the “dying girl,” rather than ever having the chance to figure out who you really were, dying or not. What better disease to give a character like that than something rare and hard to diagnose and treat like Long QT? Of course, Scarlet is nothing at all like my niece (the best adjective to describe my niece would be “fierce” whereas Scarlet is very naïve and used to being controlled by the adults in her life) but by having Scarlet start the story as someone unsure of who she really is as a person, it makes her struggle and transformation as she faces the truth behind her illness all the more powerful. Thank you so much for Ms. Lyons for taking the time to answer my questions! To sweeten today's interview, take advantage of the special deal happening right now and order an eBook copy of Broken for only $4.99 from your favorite eBook supplier! 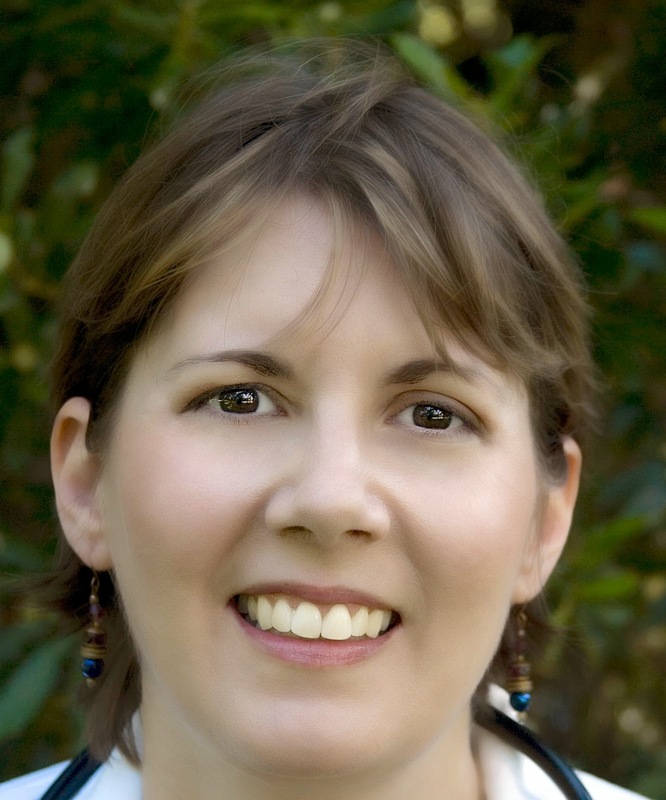 New York Times and USA Today bestselling author of twenty-one novels, former pediatric ER doctor CJ Lyons has lived the life she writes about in her cutting edge Thrillers with Heart. Winner of the International Thriller Writers’ coveted Thriller Award, CJ has been called a "master within the genre" (Pittsburgh Magazine) and her work has been praised as "breathtakingly fast-paced" and "riveting" (Publishers Weekly) with "characters with beating hearts and three dimensions" (Newsday).